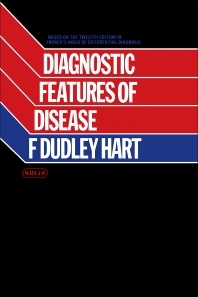 Diagnostic Features of Disease is an illustrated guide to diseases based on "French's Index of Differential Diagnosis, Twelfth Edition." This visual quiz book uses illustrations from the twelfth edition. Specialists from different medical fields have contributed their expertise to give a diagnostic message through the illustrations. This book contains some questions that deal with orthodox therapy in connection to the conditions or diseases show in the image. The book covers a wide range of human diseases and human anatomy. This book shows an illustration of a subject with a certain condition. Several questions quiz the reader as to the diagnosis of the disease, the possible causes of the existing condition, or the management and treatment of the condition, Questions cover topics such as cretinism, hypothyroidism, Turner's syndrome, achondroplasia, and malignant changes to liposarcoma. This book is intended for candidates to the qualifying and specialist examinations in medicine and surgery. This book can also be helpful for general practitioners of medicine and specialists.